It’s hard to believe that fall is arriving. The kids are going back to school and Walt Disney World is transforming into its fall splendor. Christmas may be the most wonderful time of the year, but fall is probably the most fun. 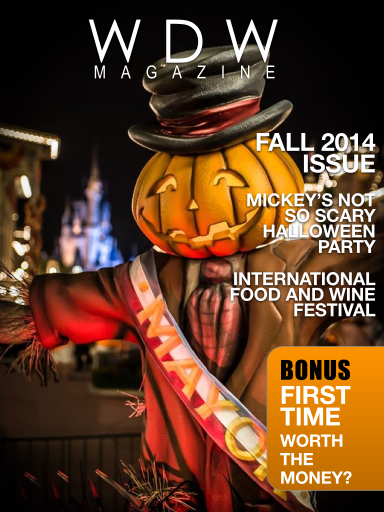 In this month’s issue of WDW Magazine we are going to look at the Fall happenings at Walt Disney World. Boy, is this going to be special. First we eat. That’s right, we go to the Epcot International Food and Wine Festival. This celebration gets better every year. Yummy. Then we run over to the Magic Kingdom and explore Mickey’s Not So Scary Halloween Party. Really, it’s not scary at all but lots of fun for all ages. What could possibly be better than Trick or Treating in the Magic Kingdom? Who’s ready? Speaking of running. 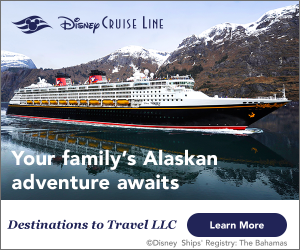 Fall is a great time to take a run through Disney World and Disney has a couple of events for the serious and not so serious runners. The Wine and Dine Half Marathon and the Tower of Terror 10 miler bring people from around the world to compete and play. Our Helping Hands section this month is full of good stuff. We have a list of the top 10 apps for your smart phone and for first timers we answer the question is Mickey’s Not So Scary Party worth the extra cost? In the Best of WDW section we take a look at the Coronado Springs Resort, the Tower of Terror, Sci Fi Dine-In and Ye Olde Christmas Shoppe. Boy, does that sound like fun! Of course we have our monthly favorites, our Photo Contest, Fun and Free, Bring the Magic Home and lots more.